Galway Airport is located just 6kms from the city centre of Galway. The Airport is situated in Carnmore in County Galway. Galway Airport can be used as a traveling base to explore Galway and the surrounding areas, Tuam, Claremorris, Clifden, and Westport, by allowing the visitor to rent a car at Galway Airport or downtown in Galway city. 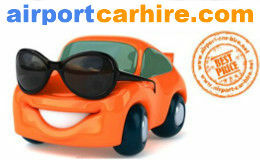 Travel further to Limerick or Sligo or into the heart of Ireland to Mullingar town. Enjoy the history of the Hunt Museum in Limerick, Yeats Country in Sligo and a trip to Lissadell House and the beautiful Glencar Waterfall or on to the late Joe Dolan's town of Mullingar, to see this late Irish singer's home town, or just to experience the Irish welcome. Galway Airport has flights to London Luton, Manchester, Dublin, Edinburgh and many more routes. At Galway Airport you can pick up some Irish keepsakes such as some wonderful Galway Crystal, Gifts from Kylemore Abbey, Seavite beauty products locally produced on the unspoilt shores from the West of Ireland and also from Ri na Mara . Sample some of Irelands wonderful chocolates from the Lily O'Brien company or take home some Royal Tara fine bone china gifts from Ireland. Ready to Go? 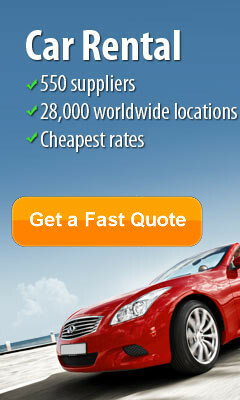 Get Your Quote Now! 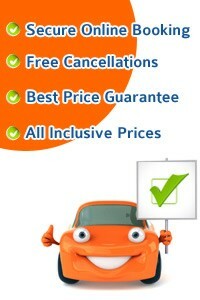 Take this opportunity to get the best car rental deals in Galway... CHEAPER. Enjoy visiting some of Galway Historical Past including Galway's magnificent Cathedral, Galway City Museum, Galway's Spanish Arch, Galway's Courthouse and Town Hall, James Joyce's wife's house, Nora Barnacle House and Galway's Eyre Square, and the Salmon Weir Bridge, a great county, Galway has numerous Castle ruins along the way. Having picked up your Rent a Car at Galway Airport or Downtown Galway take some of the many wonderful driving routes to explore Galway and its surrounding area's such as Salthill, Clifden, Leenane, Roundstone, Connemara, Maam Cross and much more. Galway, is where you can visit Connemara's National Park. Galway is a wonderful area to get away from it all, take in some hill walking in Connemara and enjoy the beautiful Killary Harbour and the Lough Corrib area. Clear all the cobwebs away on the Aran Islands and the experience the beauty it holds. Kylemore Abbey in Connemara, County Galway is an impressive Abbey now open to the public and not to be missed, with its walled garden and Gothic Church it is in a beautiful setting in Connemara, easily accessible with your Galway Rent a Car. The Oranmore Lodge Hotel Conference and Leisure Centre, Galway is a prime location just off the N6 approach to Galway, offering ease of access from all destinations. For a major conference or small meeting, exhibition or product launch, private dining or gala banquet alongside superb guest rooms and excellent service, we provide the ideal venue for doing business in Galway and promise you and your company the full professional package. Gracious Country Living, Situated only minutes from Galway Airport and City. Our guests can relax and unwind with the charm and elegance of this country house manor hotel. New state of the art Leisure Centre. The Galway Bay Hotel situated on the Promenade, Salthill, has an uninterrupted view of the sea and is situated directly overlooking the famous Galway Bay. Space, grace and elegance are but a few words to describe this magnificent and luxurious four star property. The Galway Bay Hotel has 153 bedrooms and is located approximately 5 minutes from Galway's City Centre. Some in-house facilities include Restaurant, An Scadan Caoch Bar, Cafe Lido, and full leisure facilities: a swimming pool, gymnasium, steam room, sauna and beauty salon.